Plans were to flatten Ziigy’s rooftop bar and the adjacent empty property in Marine Terrace ready for work to start on a 5-storey ‘lifestyle’ hotel. 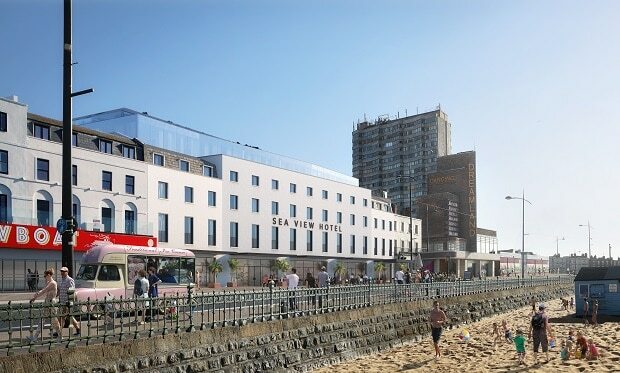 The ‘Seaview’ hotel, proposed to lie in the Margate Conservation area, is earmarked to have 124 rooms, a gymnasium, meeting rooms, a shop or café with frontage onto Marine Terrace, a restaurant and bar at the ground floor and a rooftop bar. 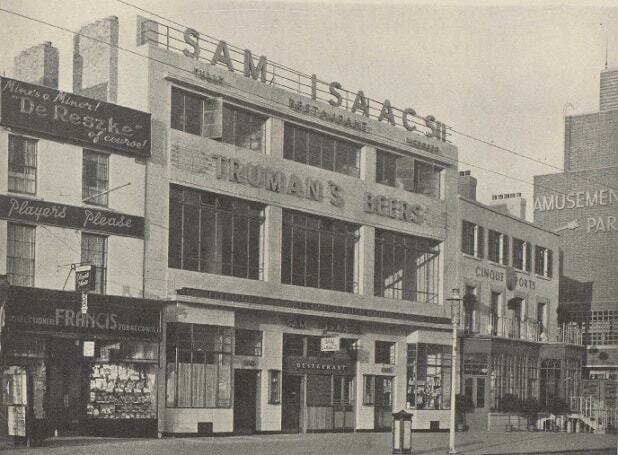 But it has been argued that a part of the town’s heritage would be lost if the properties at 48-49 Marine Terrace were demolished as number 49, currently home to Ziggy’s rooftop bar and formerly Escape nightclub, was constructed in 1936 as the West End Restaurant. But Margate Estates says the hotel plan has had public support and is part on a long-term regeneration plan for the town. Aidan de Brunner, from the company, said: “This is disappointing, particularly as there have been only a handful of objections whilst 200 people have written in to express support and the public consultations held in July last year were very well received. “Margate is being transformed into a place where people want to be, whether that’s to live, to work or just to visit with friends and family. Turner and Dreamland have helped put Margate back on the map and we are keen to maintain this positive momentum. “We have a long-term plan to create more things to do, places to stay and develop the local infrastructure to support it. The history of Margate tells you that all the things we are planning for the future – theme park, hotels, music concerts, conferencing – already have proven track records in this town. “But I do believe that this future success won’t come without a collective effort, to keep working together, to lock-in the progress to date, build on recent improvements and maintain the momentum. “Our next step in this journey to bring this vision to life is to build a new hotel for Margate, on this amazing seafront. Somewhere for locals and visitors, providing local jobs and designed to look like it’s always been part of the furniture. The Margate Estates application says the project would create 62 jobs within the hotel; 103 direct construction jobs over 3 years and 52 indirect construction jobs across the region over 3 years. Councillors will discuss the application on February 20. This proposal is not in keeping with the rest of the seafront. Surely something more in keeping and not so large could have been planned. This is all about greed. Just because the place looks a mess at the moment doesn’t mean to say we should accept a monstrosity of a building. We should work together to create something acceptable for the future. I think this is a good decision by Thanet council. I hope they do not get ransomed behind closed doors into changing there decision by Dreamland. 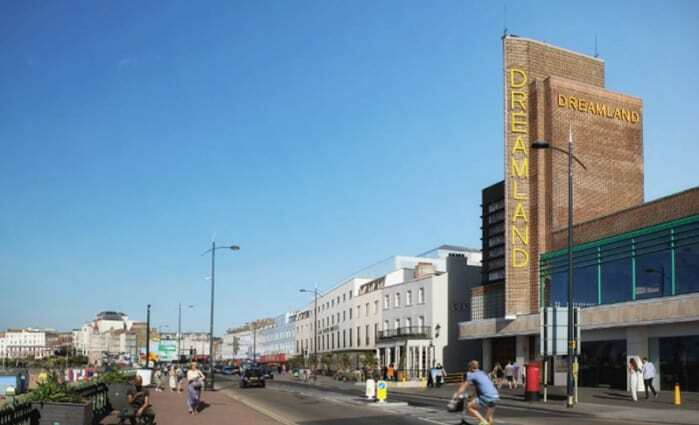 In my opinion if Dreamland have enough money to carry out this proposal, they should have enough money to pay for someone to think and carry out a proper design proposal. I’m not a architect but just a local business owner. I have been to there live music and witnessed first hand the current park. The first thing I noticed and know will be a problem in the future is the noise pollution on the current concerts being held outside. Next is the layout of the park around the current properties. If I was to propose a plan I would build a hotel at the far left of the park with your back to the sea. This would block out the current flats that have complained already about how close the rides have been. It will also provide a sound barrier so the flats behind will not get so much sound pollution. Your would also get an entrance for cars to park for the hotel. You would get views over the park and possible on the higher levels a sea view. This would also be more family friendly! The proposed site is more suited for a more exclusive higher end hotel, so as to have the Margate sands and Turner centre views. Yet again the council are trying to stop a plan which will enhance Margate and encourage more people to visit us!!!!!! If this building is out of character with Margate seafront because of its size and roof etc , how on earth did the Turner centre ever get permission to be built? Its horrendous ! Lets have this hotel built and lets get the front of Margate tidied up , especially where the old arcade was , its awful when you arrive by train to Margate ! Most objectors to this plan seem to be missing the fact that the bulk of the proposed hotel will fill in “Godden’s Gap ! When objectors refer to the character of Margate seafront – do they mean that the large gaping hole where the late Mr Godden’s amusement arcade burned down and was never replaced ? Has “Godden’s Gap” now been accepted as part of Margate’s history that needs to be preserved for future generations ?